You’ve spent a great deal of time, effort and resources establishing your brick-and-mortar business at a location with plenty of foot traffic. But there’s another form of traffic you might be ignoring – web traffic. That’s right. 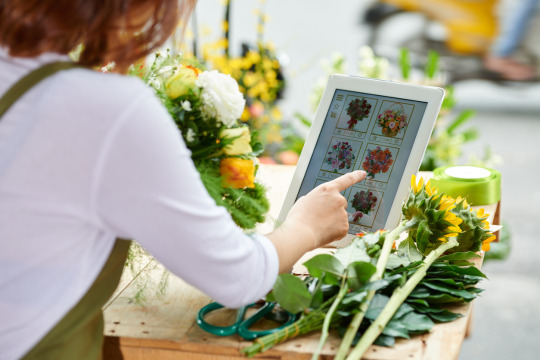 Online traffic can be a major boon for your brick-and-mortar business, even if you don’t sell anything online. Why? Because it provides an online space for consumers to acquaint themselves with your offerings. Here are a few tips for building a website for your brick and mortar business. While you could develop your own small business website from scratch, it’s hardly in your best interest to do so. Your focus should be on running your business, not becoming an expert in web development. Luckily, you can still build a beautiful website with minimal expertise thanks to a small business website builder. When you’re building a website, taking advantage of a good small business website builder is the efficient move. The service also comes with privacy protection, customer support and mobile compatibility. Customization is simple, as most providers offer a variety of stunning themes with accommodations for your own photos, logos and copy. A lot of small business owners wonder exactly what they should include on their website. Luckily, this is easier to determine than you might think. All you need to do is anticipate your customers’ questions. Common examples include your location, business hours and contact information. This information should appear at the top and bottom of every page. Some websites even include a contact page on top of this. Next, you’ll want to include a little bit about yourself and your company history. Consumers will often check the “about us” page to determine the credibility of the company. If you are missing this on your website, you’re hurting your own reputation. Finally, web users are going to be interested in your offerings. This is your chance to promote your products or services. Sharing the latest news about your brand, like networking events you’ll be attending, upcoming promotions, partnership announcements, will get your potential customers engaged. . These kinds of posts keep your website looking lively and constantly updated. Speaking of lively pages, many business websites include a blog section on their website. While it does require a little more time and attention, it’s a wonderful place to keep consumers up to date on your latest offerings. A blog can also help you attract additional web traffic, if you are willing to get creative. For instance, if your brick-and-mortar shop sells handcrafted wooden cutting boards, you could post a blog about keeping them stain-free. That way, when web users search “how to remove cutting board stains” they will land on your website; thereby introducing them to your brand. Now that you know the basics of building a website for your brick-and-mortar business, try it for yourself. Visit Yahoo Small Business for great rates on web hosting, business email and so much more!